I was recently given the opportunity to speak at Georgia State University’s Institute for Insight program to their Masters of Science in Analytics (MSA) students. It was an honor to speak to the class, and one that I admit, was daunting at first. 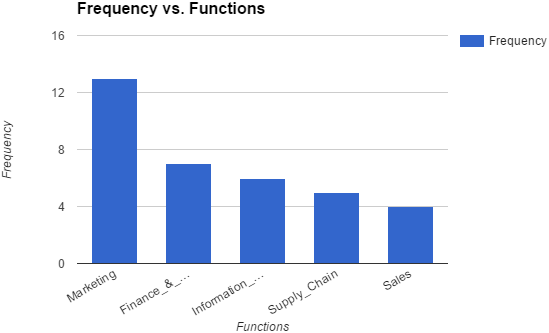 For one, I hold no advanced degrees in analytics, though, in my professional experience, I have run the gamut of analytics to drive decisions and strategies. However, it’s another animal when asked to speak to students who live and breathe data and analytics. Alas, I got over this quickly as school teaches one way but practical experience can teach on a deeper level – see “School: Tell You What to Do. 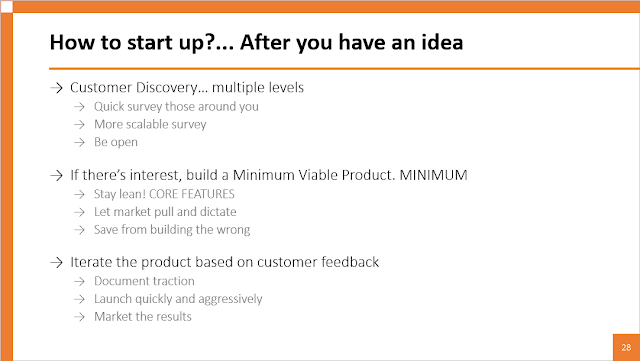 Startups: Know Why You Do”. 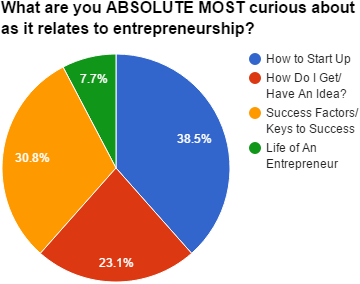 Second, I wanted to speak about my entrepreneurial path. 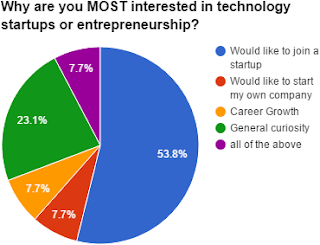 However, I’m so passionate about startups I can go on for days. My challenge was to distill one of my greatest passions to students who may not care about entrepreneurship while sharing an hour with consulting. 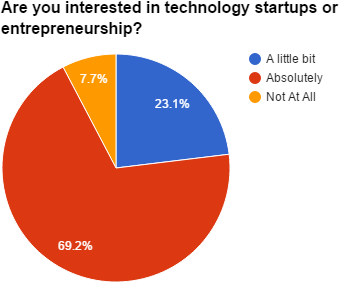 Did students even want to hear about entrepreneurship and startups? What would they be interested in knowing? Where do I begin? I don’t want to just talk at them with topics they wouldn’t find interesting. Reaching into entrepreneurial bag and I knew how to handle this… CUSTOMER DISCOVERY! 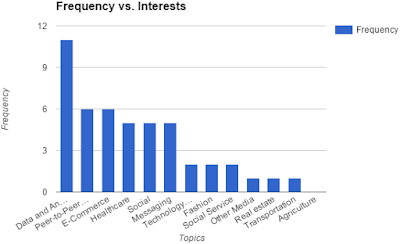 I sent a Google Survey to the class beforehand to test interest. With any luck, this would even prove a point in whatever I would talk about – customer discovery. From the results, there was overwhelming interest from students having some aspirations to join startups or start companies of their own. 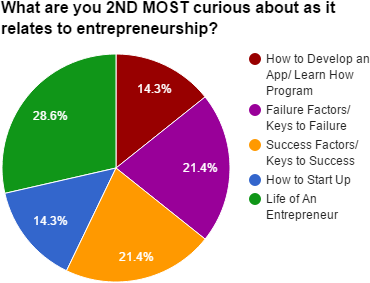 Second, students were interested in 1) how to start a startup and 2) success factors. Perfect, I’ll start here. The following are some of the unsexy slides I put together to explain these areas + “keys to failure”. My tips for getting started are much more tactical and “scrappy” rather than steps to incorporate, put partnership terms to paper, etc. Instead, it’s far more important to test if there’s even viable interest in the product/ service in the first place. The business doesn’t go if the product/ service doesn’t go. 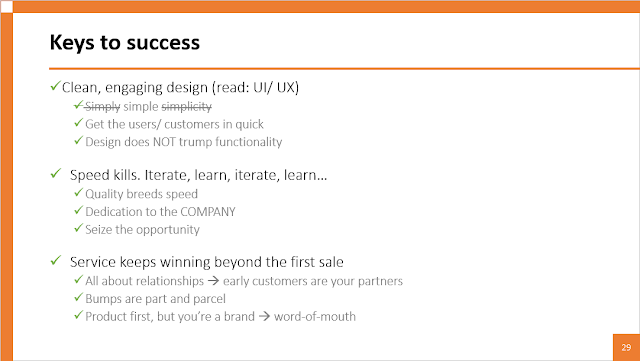 Get in front of customers, test the idea, and iterate. 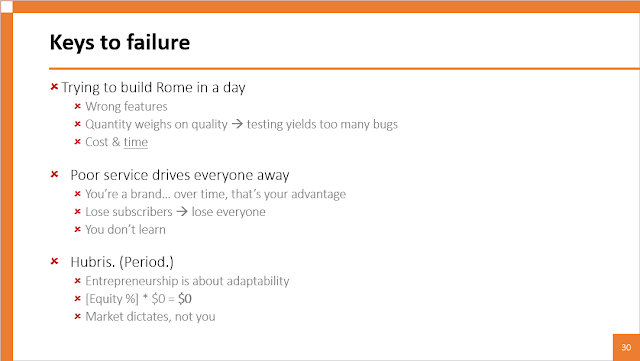 If there’s traction, then the rest comes along – I’ll have more slides for you then. I had a lot of fun giving the talk, and I hope to give many more in the future. Fits well with my goals of giving a TED talk, becoming an entrepreneurship professor, and being a leader in startups/ business.